Hotel Aria is located in the city centre of Nice in front of Mozart Square, just a 4-minute walk to the beach and a 2-minute walk to the Nice Train Station. It offers comfortable accommodation at a 10-minute walk away from the old town. The air-conditioned rooms and suites and offer a TV, minibar, Wi-Fi access and en suite facilities. A buffet breakfast is served daily until 10:00. 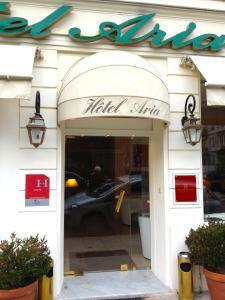 Hotel Aria is just 40 metres from the Mozart parking station.